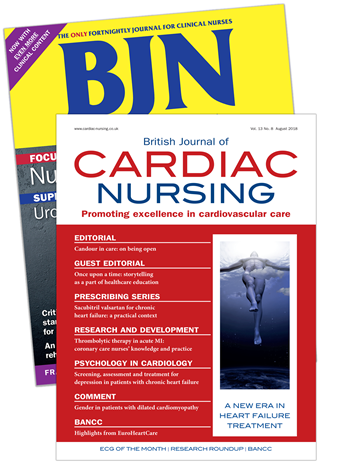 British Journal of Cardiac Nursing is the UK's leading publication for nurses specialising in cardiology and coronary care. 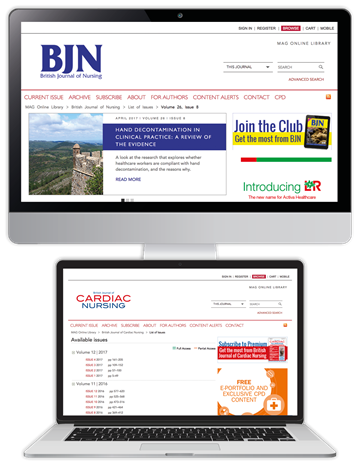 It publishes the latest clinical reviews, research and peer-to-peer guidance, delivering specialist support on the subjects that matter, from atrial fibrillation and congential heart disease to patient management. 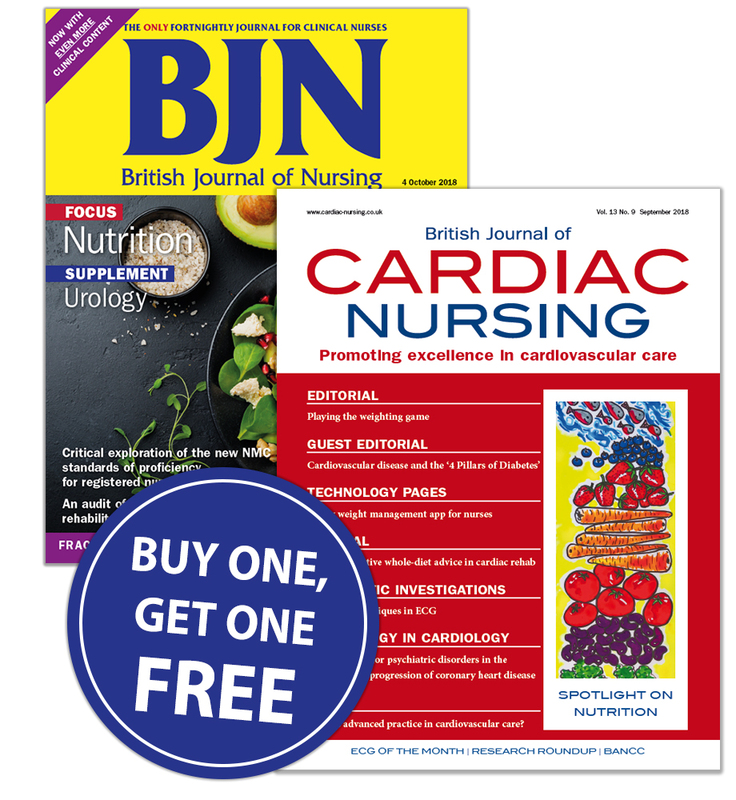 Order now with code BJN18H and receive two journals for the price of one - a saving of up to £179 per year.